The Low-Down: Nest's Security System Can Now Be A Google Assistant: Is That A Problem? Nest's Security System Can Now Be A Google Assistant: Is That A Problem? It's all just data to make your life easier, right? 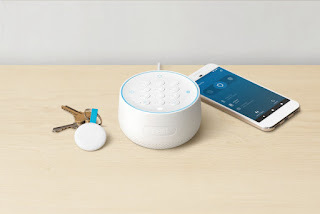 This update turns the Nest Secure’s keypad hub into a Google Home Mini, allowing you to do things like say “Hey Google, turn off the lights” or “Hey Google, arm the alarm.” To turn the alarm off, you’ll still need to use either the Nest app, one of Nest’s key fobs, or to punch your PIN into the hub.Wondering how the heck the Nest Secure hears you? The Nest Guard has had a microphone all along. A bit over a year after its release, Nest’s security alarm system is picking up a new trick: it can now double as a Google Assistant device. Nest announced the new functionality, saying that its being “pushed out to all Nest Secure systems both new and old” today. This update effectively turns the Nest Secure’s keypad hub into a Google Home Mini, allowing you to do things like say “Hey Google, turn off the lights” or “Hey Google, arm the alarm” on the way out the door. It’s worth noting, though, that you can’t turn the alarm off with your voice — they don’t want people shouting through your door to disable your alarm, after all. To turn the alarm off, you’ll still need to use either the Nest app, one of Nest’s key fobs, or to punch your PIN into the hub. Turns out the Nest Guard has had a microphone all along, though it “has not been used up to this point.” That’s… a little strange, to say the least. It’s nice to be able to flip on new features when the time comes, but the spec page probably should’ve mentioned the microphone from the beginning (even just to say “There’s a microphone in there, but it’s not used for anything right now.”) There’s no shortage of Internet-connected devices with microphones built-in, but said mics are usually made a bit more obvious. The Google Assistant on Nest Guard is an opt-in feature, and as the feature becomes available to our users, they’ll receive an email with instructions on how to enable the feature and turn on the microphone in the Nest app. Nest Guard does have one on-device microphone that is not enabled by default.